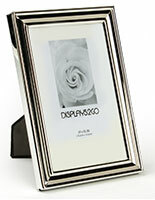 These silver 5x7 photo frames feature a glass lens and make nice wedding favors. 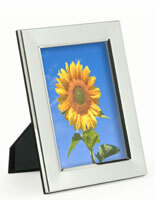 Each decorative holder looks great in any home or office. 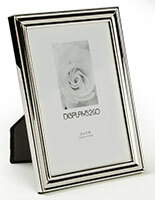 These 5x7 photo frames have a look that can hold snap shots, professional portraits, as well as scrapbook pages. 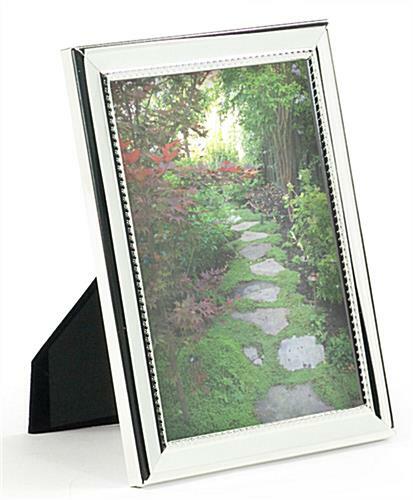 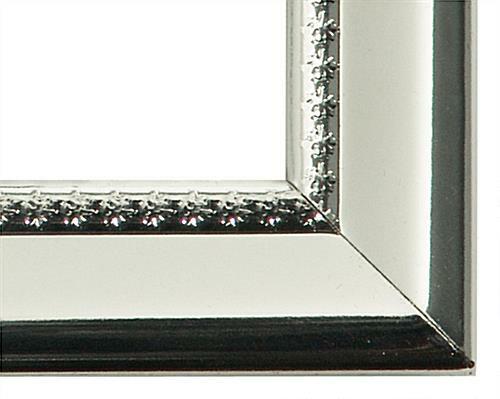 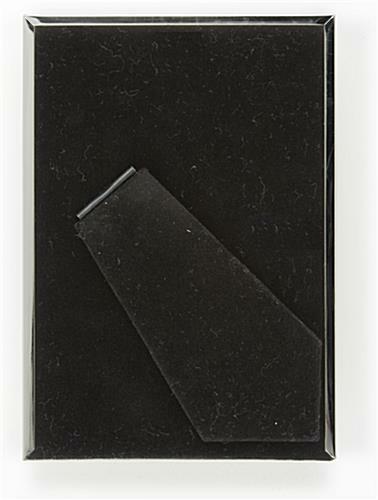 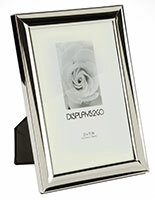 The decorative picture holders are constructed of steel with a plated, mirrored finish. 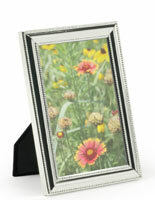 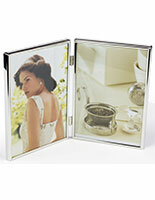 The photo frames are also available in the 4" x 6" size for added convenience. 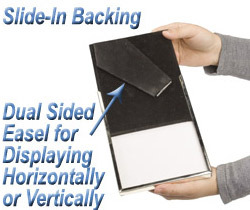 The displays feature a double sided easel that allows the holder to be positioned horizontally or vertically.